What: Those who have been following the O.M.F.G. line since its beginning might remember an early design submission for a character called "Deadbeet," a little beet creature with arms, legs and a dead-looking face (hence his name). Although quite popular, the character didn't make it through as an O.M.F.G. figure. Fortunately for fans of the little dude, that didn't stop him from taking toy form. Deadbeet originally took physical form as a larger, higher-priced vinyl figure, but was also just released in mini figure form for only $2 apiece through October Toys. 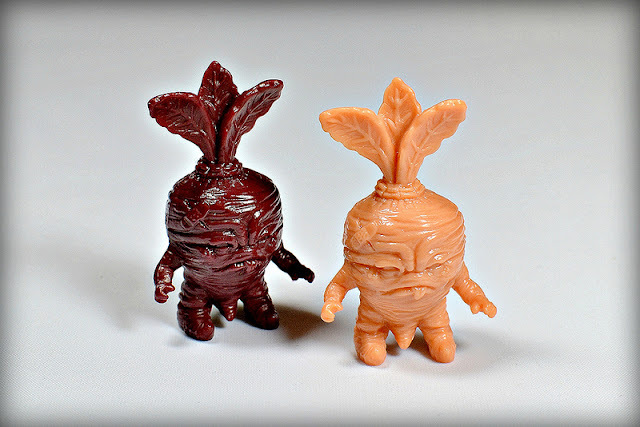 Designed by Scott Tolleson and sculpted by George Gaspar of October Toys, the Baby Deadbeet is a very fun little figure. It has a lot of character, from the band-aid on the right side of its head to the little tongue sticking out of its mouth. At 1.5" tall, BD is even smaller than most mini figures, which is appropriate considering he's a little vegetable guy. So far he has been released in two colors: flesh and plum, which is a very nice deep purple shade with a reddish/brownish tinge. When: Flesh and plum versions released January 2013. Where: Available through the October Toys online store. At the time of writing this the plum color has sold out, but the flesh is still available. Who: Designed by Scott Tolleson and sculpted by George Gaspar. 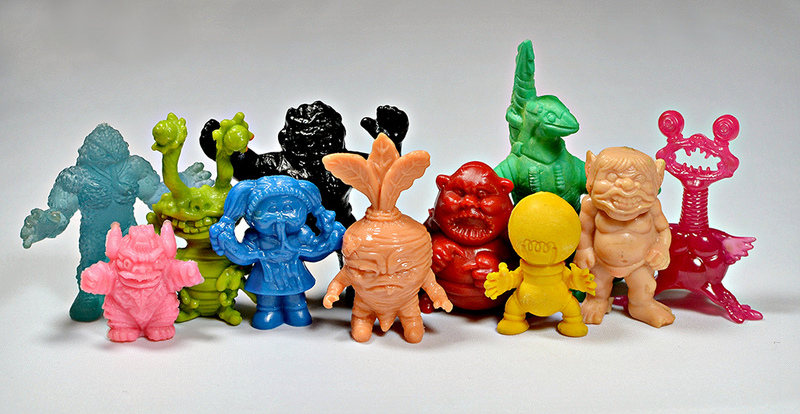 Released by October Toys.